What annual Virginia social event combines formal fashion and country style? It’s Black Tie & Boots, the State Fair of Virginia’s opening-night benefit gala, which will be held Sept. 22 at The Meadow Event Park in Caroline County. All proceeds from Black Tie & Boots will benefit the State Fair scholarship program, which offers more than $70,000 annually to participants in 34 different youth competitions at the fair. Black Tie & Boots guests will enjoy award-winning Virginia wines, and the Best in Show winner of the State Fair of Virginia Commercial Wine Competition will be announced at the event. The gala will kick off at 6 p.m. with cocktails and heavy hors d’oeuvres in and around The Meadow Event Park’s Meadow Hall. Live music by country band Harley Boone, as well as silent and live auctions, also will be featured. Entertainment by this year’s fair performers is a possibility. Admission to Black Tie & Boots is by advance purchase only, and the event historically sells out. Tickets are available now at 2016blacktieandboots.eventbrite.com. Individual tickets are $85 per person through Aug. 29 and $100 per person from Aug. 30 through Sept. 14. Guests also can purchase a $500 party pack—six tickets for the price of five—before Sept. 14. 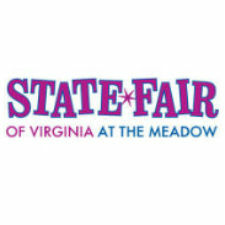 For more information or to purchase party pack tickets, contact Stuart Sanders at 804-994-2743 orssanders@statefairva.org. Only 300 tickets will be sold. This year’s State Fair of Virginia will run from Sept. 23 through Oct. 2. Information is available atStateFairVa.org.